One thing I have loved since I was a kid was Banana Bread, I used to love when my mom would make it. She would take it out of the oven and let it cool then cut us a slice. It seemed like the time it took for the bread to cool was an eternity. To this day I still love banana bread, warm with butter spread on. 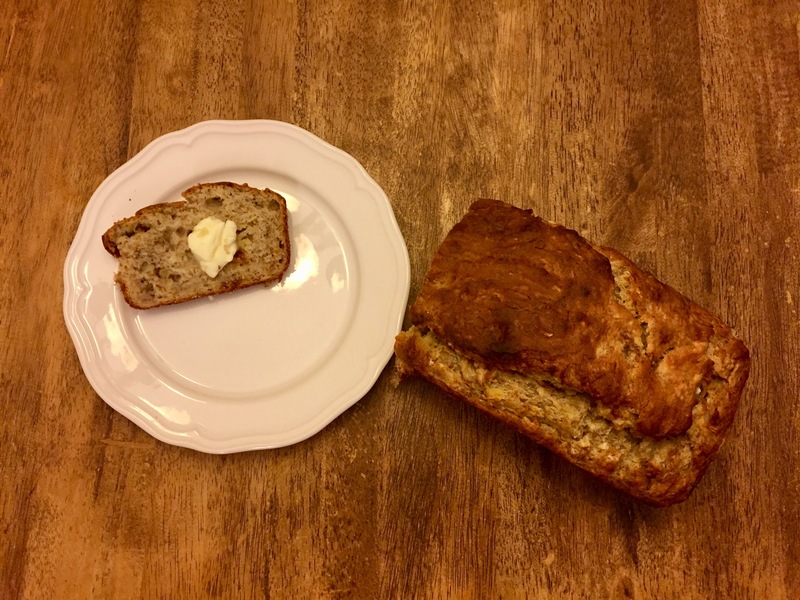 Here is my favourite Banana Bread Recipe. Add the banana’s to the eggs and mash all the bananas. Mix the two bowls so that it is nice and consistant throughout. If you wish to add the chocolate chips now is the time. Pour the ingredients into a bread pan and stick it in the preheated oven for 60 mins. Once done let it cool for 10 mins, Then Enjoy! P.S. If you try the recipe tag me on Facebook or Instagram I would love to see your finished product!